Smartphone makers these days are pushing for more cameras to be fitted on the back of the phone. When Apple announced the iPhone XR, it came with a single camera instead of two like its more expensive iPhone XS and XS Max. Are you really losing out for having just one camera? According to DxOMark Mobile, the iPhone XR is the best single-camera smartphone at the moment. It even beats other flagship contenders like the Galaxy S9+, Xiaomi Mi 8, Pixel 2 and even the iPhone X. 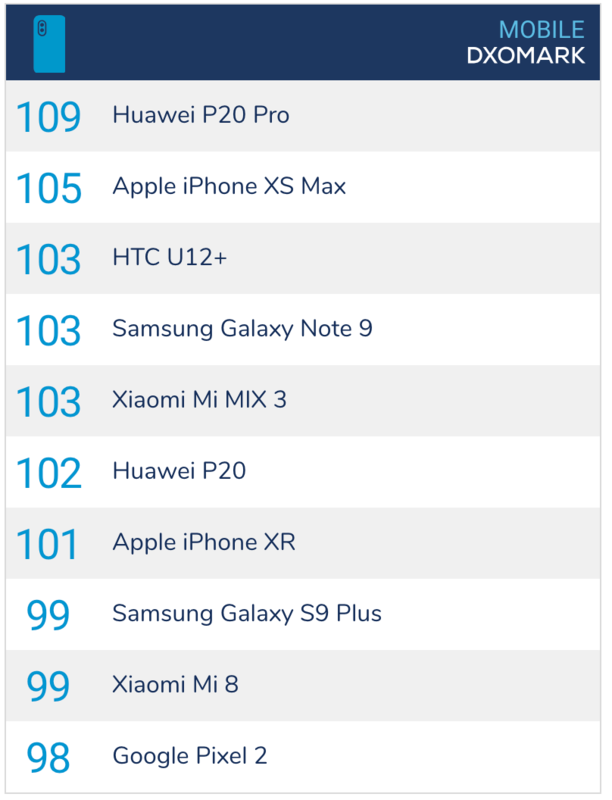 Overall, the iPhone XR scored 101 points which is just 4 points behind the iPhone XS Max and merely 2 points behind the Galaxy Note9. For photos, it did 103 points while videos achieved 96 points. 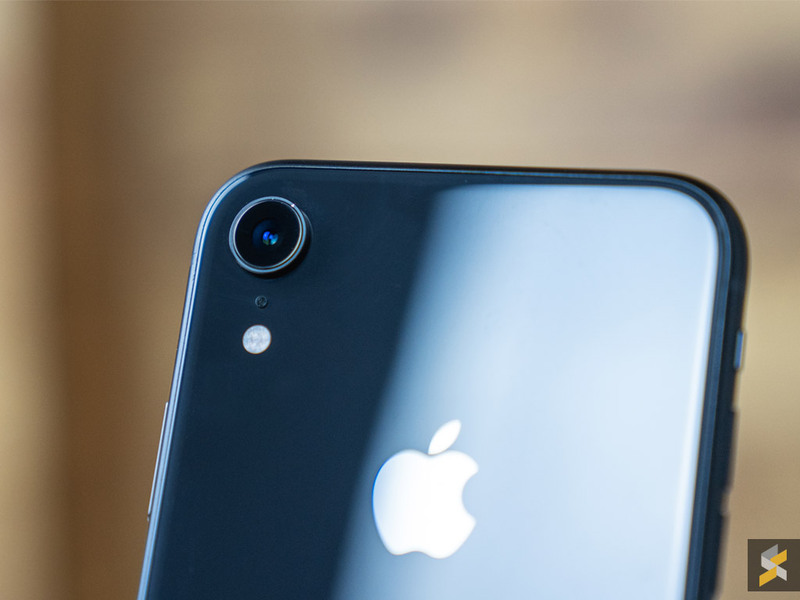 They noted that the iPhone XR offers good exposure and dynamic range while preserving detail in all lighting conditions. DxOMark also mentioned that it offers fast and accurate autofocus while video recording comes with effective image stabilisation. This isn’t surprising as the iPhone XR shares the same primary shooter as the iPhone XS and XS Max. It’s still a 12MP f/1.8 camera that uses a 1/2.55″ sensor and offers a large 1.4-micron pixel size. There’s also optical image stabilisation and it can also shoot 4K videos at 60fps like the iPhone XS Max. Despite lacking a secondary camera, the iPhone XR is still capable of taking bokeh-licious portrait shots. You can read the full details at DxOMark’s review. Do note that newer smartphone models like the Huawei Mate 20 Pro and Pixel 3 XL are not rated yet. 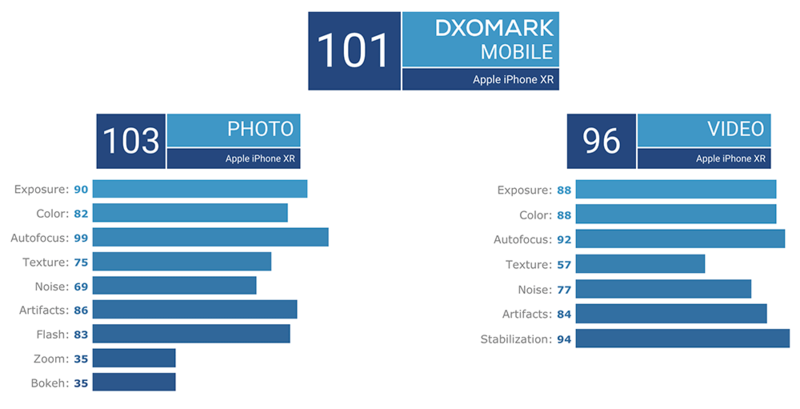 Below are DxoMark Mobile’s current ranking.